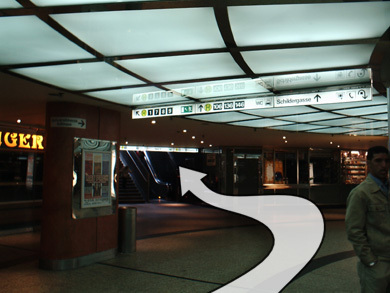 After leaving the rails, walk towards the main entrance. Don't go outside the station though. 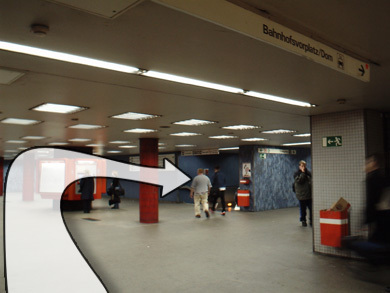 At the left hand besides the main entrance, there is a pedestrian underpass leading to the subway, headed by a blue "U" sign. Go down there. 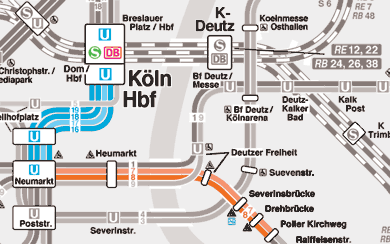 Now go to overground tram rail no.3 and take the tramline no.7 (direction: Zündorf) or tramline no.8 (direction: Porz-Markt). 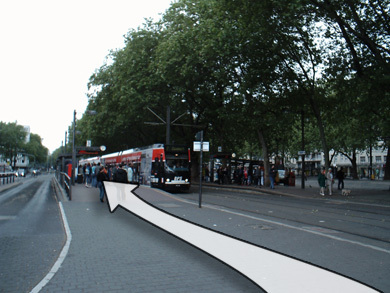 At the fifth station, after riding for about 10 minutes, you should get out at the stop named Poller Kirchweg. From there, follow the Evoke signs. 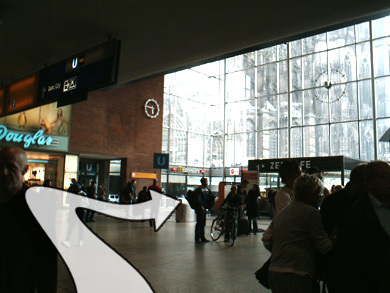 The tickets for this trip are called "Preisstufe 1b". They cost 2 Euro, you should have coins handy.